We've not sought many reviews from book bloggers. 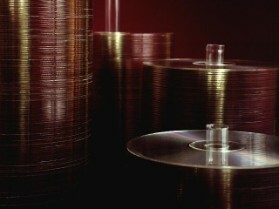 Here are links to the ones which have been published to date. Our thanks to Ian for hosting us on his Mind Body Spirit Show. 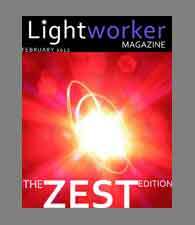 Lightworker Magazine was set up to inspire, challenge and educate those dedicated to the art of positive living. You can read the feature on pages 13-14 of this issue. Access the magazine here. We wrote The Legend of Marina Cove for local readers. This story was published in The Torbay Times in early 2013. We've also been honoured by invitations to guest on other blogs! As and when our pieces are published, we'll share them here. Thursday Throng Our interview with Linda Parkinson-Hardman. Find out how Ron would commit the perfect murder, what inspires Joanna to write, and which one of us tinkles the ivories! Stationery Love Our self-confessed addiction to stationery is revealed in this post hosted by Shaz of Jera's Jamboree! Inspiration Month We share what inspired us to begin writing, as a duo, and how The Cordello Quest came to life. Samhain Week at Jera's Jamboree We shared our ghostly short story Knock, Knock and gave away 2 ecopies of The House of the Stormwind and Other Short Stories to readers. Soulmate Experience duo Mali and Joe interviewed us about our special, non-romantic soulmate connection. Writing Partners on Anneli's blog A little autobiography, and the "why" and the "how" of our writing partnership. A Q&A over at Jera's Jamboree Which authors inspired us to write; what do we feel about short stories; which of our characters are our favourites; and many more! On writing as a duo ... and finishing a trilogy! A chat about how our writing partnership has adjusted over the course of writing The Lazuli Portals trilogy, and where we might go now that it is complete!